Hi friends! 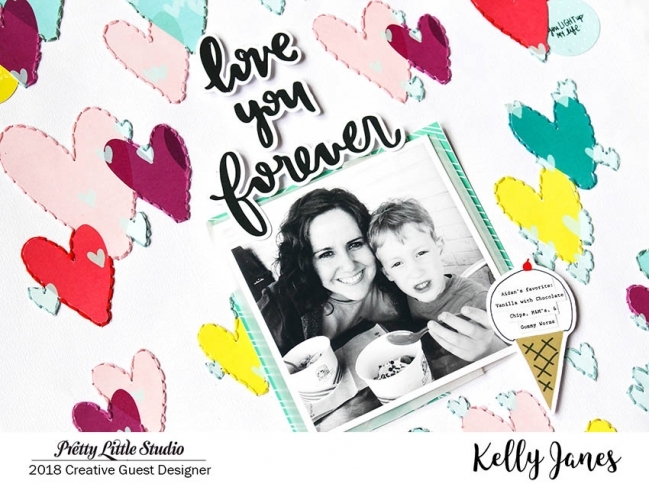 Kelly Janes here today to share a new layout using the XOXO Collection designed by Hello Heather! 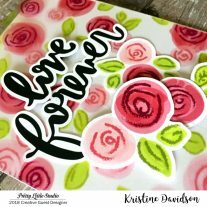 When I first saw the Heart Eyes Patterned Paper I knew I wanted to fussy cut all of those pretty hearts! I grabbed the 8×8 & 4×6 patterned papers and fussy cut a majority of the hearts from both papers. I then scattered the hearts on a piece of white cardstock. I wanted the hearts to really stand out on the background so I hand stitched around each heart. 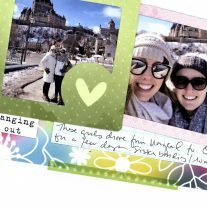 I also added a few circles from the Love You Die Cuts around the layout to create a visual triangle to help direct your eye to the photo. I adhered my photo towards the center of the layout and used vellum from my stash along with a teal patterned paper from the 4×6 Paper Pad. I positioned my title, from the Hello Lovely Words Die Cut Pack, directly above the title. 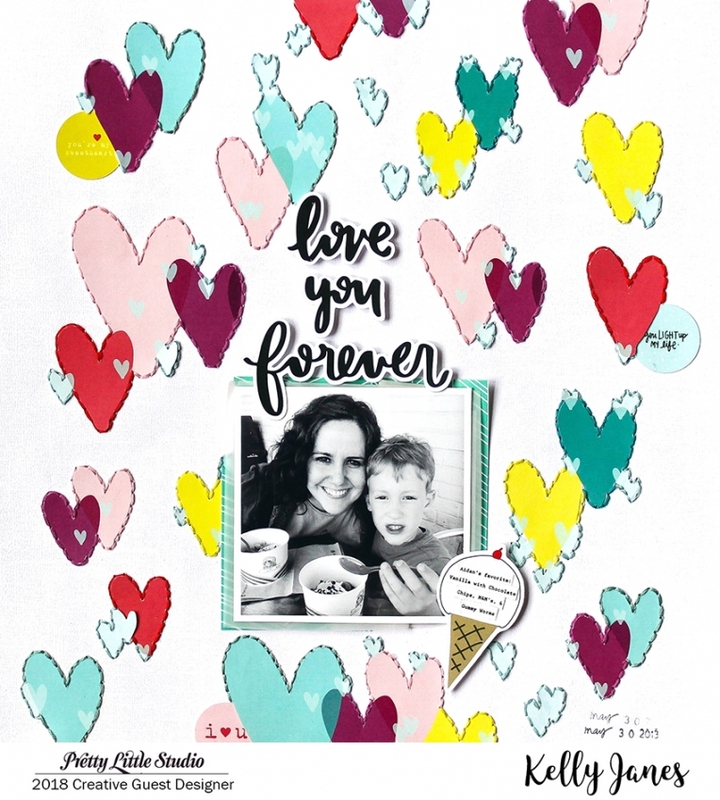 I felt embellishing really needed to be minimal, because I wanted the hearts to be the focus of the layout. So the only thing I added was the ice cream cone from the XOXO Die Cuts Pack to use as a journaling spot. I’m still absolutely loving this collection and can’t get enough!